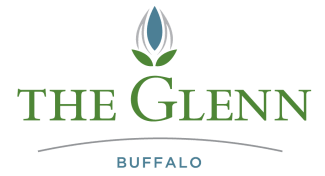 The Glenn Buffalo has created a culture of learning and promoting the sharing of information about supporting services available for seniors. The following is a list of community-based services geared towards seniors. The Alzheimer’s Association provides up to date information regarding a wide spectrum of topics related to Alzheimer’s disease and other related dementia. Catholic Senior Services is a consortium of Catholic senior care providers collaborating to better connect seniors to services in their communities across multiple parish settings. Leading Age of Minnesota is the state’s largest association of organizations serving Minnesota seniors. Their mission is to create the future of older adult services through excellence and innovation. Part of the Minnesota Board on Aging services, the Senior Linkage Line is a “one-stop shop” for a wide variety of resources and information ranging from senior housing, volunteering, transportation, health care, and insurance. The Department of Veterans Affairs is a database of resources to explore benefits and services that veterans and spouses of veterans may be eligible for in supporting health and long-term care needs. Contact The Glenn Buffalo to learn more about local resources.